​Our recommended path through the courses is shown below. For more details keep scrolling to the second figure. If you have little or no experience, then you should sign up for the Basic Crew Standard. This takes the pressure off of you, and you can enjoy learning new skills without fear of being in charge of a boat and a crew. 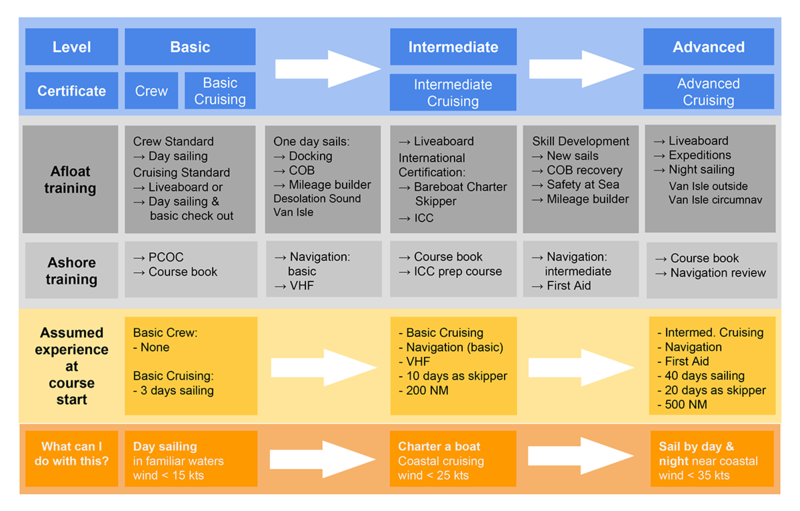 ​With the Basic Crew Standard certification you can take any of our One Day Sails clinics.